There are many good reasons why stainless steel is the most preferred choice when it comes to home improvement projects. Stainless steel is really versatile and if you look around you will find a wide range of products which are made using stainless steel. 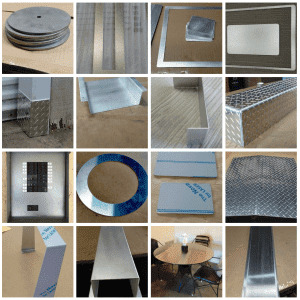 You can buy stainless steel sheet custom fabricated by MetalsCut4U.com for your DIY project. You can also design your own shape by asking your fabricator to cut or bend the sheet into the required shape. Stainless steel is hard and corrosion resistant. This makes it ideal for domestic as well as industrial use. One of the most common uses of stainless steel is to get a stainless steel backsplash. Due to its aesthetic appeal, stainless steel backsplashes are here to stay. What is a stainless steel backsplash? Backsplashes are installed right behind your sink and or stove. They are meant to protect your kitchen wall from getting wet and getting ugly stains. The backsplash can be just a few inches high or go as high as the ceiling depending upon your requirement. MetalsCut4U will provide you with an individual custom cut backsplash which will perfectly fit in your area of concern. You can even define cutouts to allow access to outlets. Stainless steel backsplash will last longer and if it is installed correctly it will protect your wall or concrete board completely. When you opt for stainless steel there is less risk of any damage being caused due to water. It is also very easy to clean and maintain as compared to any other material. This ensures that your backsplash remains intact and serves you for years. Stainless steel backsplash is also very affordable and easy to install. It is much cost-friendly as compared to other backsplash options like stones. So what else could be better than a material which looks appealing and does not burn a hole in your pocket? It is very smooth and also offers quality performance. The best part is that you don’t even need an expert to install the stainless steel backsplash. It does not require any expert skills and you can do it all by yourself. Once you place your order at MetalsCut4U.com your backsplash will after it was custom fabricated at your doorstep. All you need to do is attach it via screws or adhesive. It is also extremely hygienic and does not allow dirt or grime to settle on its surface. As it is non-porous it will not allow bacteria to stay and grow on the surface. These backsplashes can not only be used in your kitchen but they can also be used in the various other areas of your house. With various patterns and textures available you can use these almost anywhere just to break the monotony of your interior. This water and heat resistant material will function properly for years without being damaged. To get your own custom-made backsplash you can visit MetalsCut4U.com specify your size and even define your cutouts. Sheet Metal - we cut it - we bend it - we weld it - 4U. 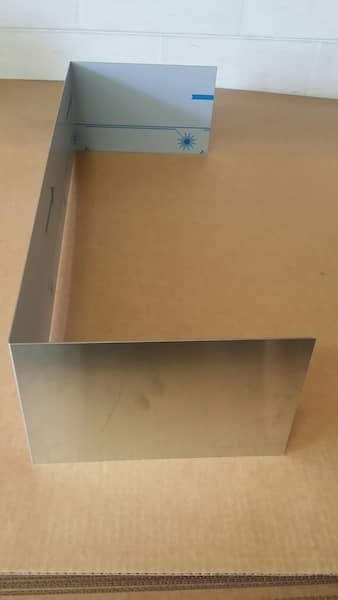 custom fabricated by MetalsCut4U.com for your DIY project. You can also design your own shape by asking your fabricator to cut or bend the sheet into the required shape.